Play Spider Solitaire and other spider type solitaires. 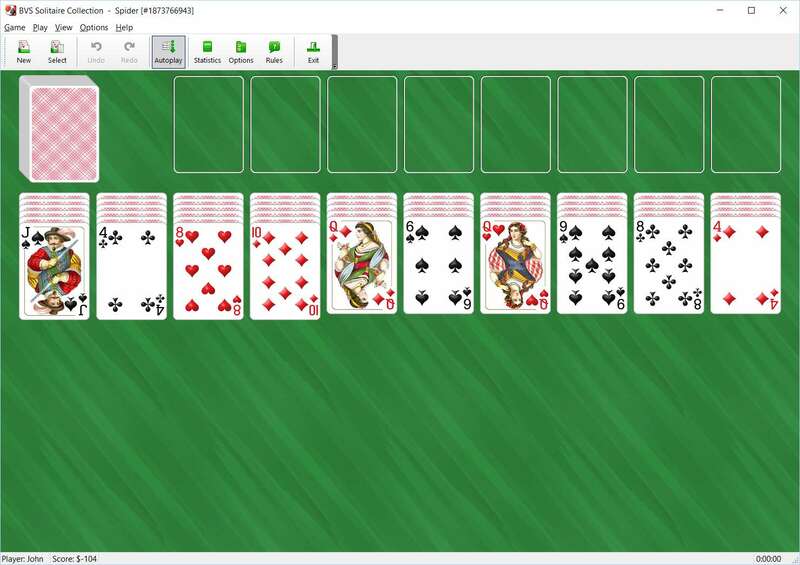 BVS Solitaire Collection contains 520 solitaire card games, including 18 spider-like games. Over 100 original solitaire variations not found elsewhere are also included.